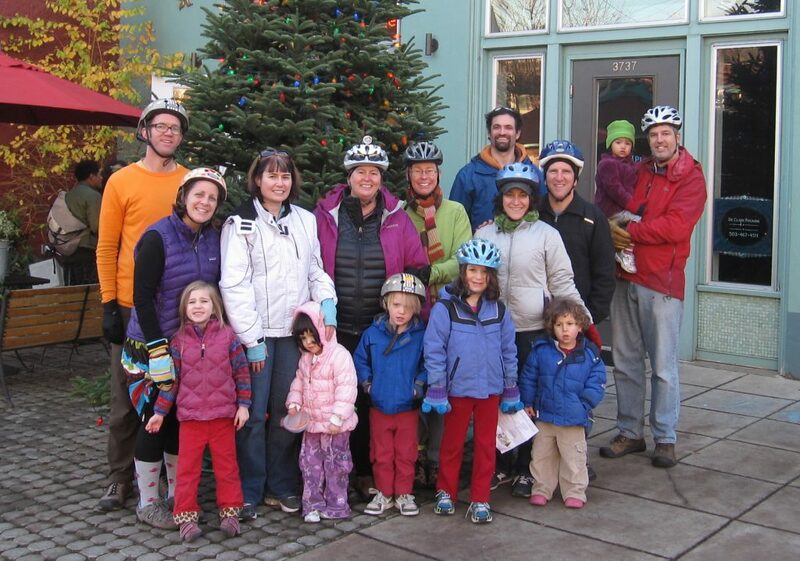 Kidical Mass 2015 Kick-Off Ride and Parade! Once again we’re kicking off the Kidical Mass PDX season with a parade. It’s not really our parade, but we’ll be riding in it. St. Agatha’s School (in Sellwood) has once again invited us to ride in their St. Patrick’s Day Parade on Saturday, March 14th, and we hope you will ride with us! Join us for bike decorating at the Sellwood Park Playground (SE 7th& Lexington) between 10:30 and 11:30 (on 3/14). We’ll have some decorations to share, but if you have ribbons, crepe paper, flowers, or anything else GREEN please bring it along. Snacks for sharing are also welcome. Costumes are great too! We’ll ride over to SE 15th & Miller to line up for the parade around 11:30. The parade starts at noon and lasts about an hour. We ride at a kid-friendly pace. We’ll do our best to stay together as a group but the parade route can get crowded. Riders should be able to ride in a line, follow verbal directions, and stop. Kids under 18 must be wearing helmets. Bring a smile, a friend, and join us behind the Kidical Mass PDX banner for some parade fun!! Author Andy SchmidtPosted on March 7, 2015 Categories RidesLeave a comment on Kidical Mass 2015 Kick-Off Ride and Parade!